Are you unsure of which shed roof tiles, sheets and shingles is the ideal solution for you? Are you uncertain of which fixings and flashings you'll need with your roof tiles or roofing sheets? Speak to our team online via the live chat in the lower right hand corner or call 01295 565 565. They'll help you pick the ideal tiles, sheets or shingles for your project and will ensure you have all the roofing materials you'll need. Sheds are a British icon and there are few gardens without a shed perched in the corner. To ensure that your shed roof is leak-free, you’ll often want to utilise shed roof tiles, sheets and shingles like those sold by Roofing Megastore. Our range of shed roofing materials include those manufactured by Britmet, Tapco, Guardian, Clear Amber and Ariel Plastics. Each offer unique benefits and aesthetics. This ensures that you can find the shed roof tiles or shed roofing sheets for you. 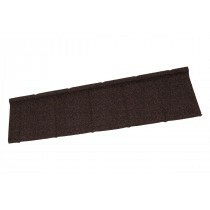 We also stock a range of shed roof shingles that are incredibly durable and cost effective. From bitumen to metal, our selection of shed roofing sheets provides you with a wealth of choice. This includes lightweight options such as bitumen, as well as more rugged solutions such as steel. Each are purposely designed for different uses, whether it be a garden shed or agricultural building. This variety of materials offers a solution for every budget range. Due to them being virtually effortless to fit, you needn't worry about extensive labour costs when fitting our shed roofing sheets either. With a vast range of metal and synthetic shed roof tiles, you'll struggle to find a more durable roofing solution. 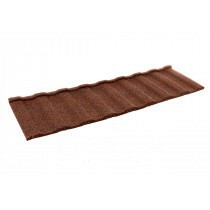 Our range of shed roof tiles are also available in a choice of colours and profiles. These include the minimalistic Britmet Slate 2000 and bold Britmet Villatile Plus. 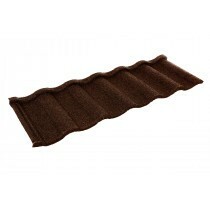 Our shed roof tiles are easy to fit too. 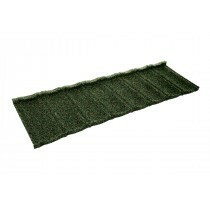 This is with many of them easily interlocking and requiring few accessories, such as membranes or flashings. When combined, the durability and easy installation of our roof tiles makes them the ideal choice for reroofing a shed or garden house. Have Questions About Our Shed Roof Tiles or Shed Roofing Sheets? If you have questions about our range of shed roof coverings, speak to our team by telephone or via the online chat. With over 40 years of experience in roofing, we’ll help answer your questions about shed roofing sheets and tiles. We will also help you pick the necessary fixings and flashings for your project.